It is a country that is proud of its many global accomplishments. Many would have encountered something made in or originating from South Korea at least once in their lives. According to a presentation by Nathan Millard, CEO of G3 Partners, South Korea has a 83 percent smartphone penetration rate, one of the world’s highest, an estimated $23.6b ecommerce market and a high $31.7k GDP per capita. In the last few years, you would likely have held a Samsung Galaxy Smartphone or watched TV on a Samsung SmartTV. You could have rode in a Hyundai or SsangYong vehicle before. Perhaps you have listened and danced to Psy’s “Gangnam style” or to the many other Kpop groups that got you swinging, or shopped online at their global ecommerce marketplaces like Qoo10. Hell, you could have even shed tears watching “Descendants of the Sun” or another top South Korean drama. The South Korean economy attributes its success to the chaebols (Korean conglomerates),which were no doubt effective in driving the South Korean economy in the 1960s-1990s. But since the Asian financial crisis in 1997, only 19 of the 30 largest chaebolsremain. Did this lead to the beginning of a new startup ecosystem, where rising entrepreneurs helped fill the gap in driving economic growth for the country? I asked a few local startups operating in the market for their insights. A serious matter indeed. South Koreans spend an average $6k-$9k per child annually on education alone, or 16 percent of total public expenditure in 2011. There are just under 100,000 hagwons (‘cram schools’) with 75 percent of South Korean children attending them. The curriculum is also expanding to cover more fields, and programming is set to become part of the elementary school curriculum in 2019. Seeing opportunity in this, Asaph Kim co-founded 3.14 Co Ltd. 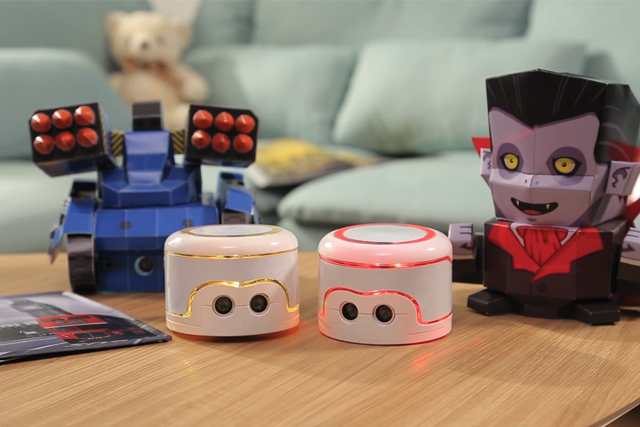 The Chief Design Officer and his co-founder came together in 2014 to build Kamibot. Daniel Chan, CEO and founder of Toss Lab, describes the need for localization for productivity tools in Asia. He explains, “In most western countries, SaaS apps like Dropbox, Evernote, and JIRA are popular and widely accepted. But in Asia, they are less adopted. These international software providers developed their products with Western markets in mind, rightfully so, but left Asian local users searching for tools more appropriate to themselves. To this end, Toss Lab created JANDI, an enterprise messaging platform with fully built-in workflow management features made for tech-enabled businesses in Asia. In just two years, JANDI has established itself as the local leader in the space, delivering value to customers in areas ranging from IT and media (YelloMobile, JTBC) to ecommerce (Ticketmonster, TOMS Shoes). And investors believe in Toss Lab, backing the company with a funding of $4.5million to date. He sees opportunities here. His company provides network and hardware related services for IoT infraware projects, such as U-Eco City, which provides public information and services, and Smart Home System, which provides smart home solutions. He prides Idolink on developing unique IoT technologies. “We developed UWB RTLS (Ultra Wide Band Real-Time Location System), a location tracking system based on Ultra Wide Band technology that is superbly accurate and precise,” he said. “It has low power consumption, and is very cost effective. It is a real-time geolocation hence the suffix RTLS. 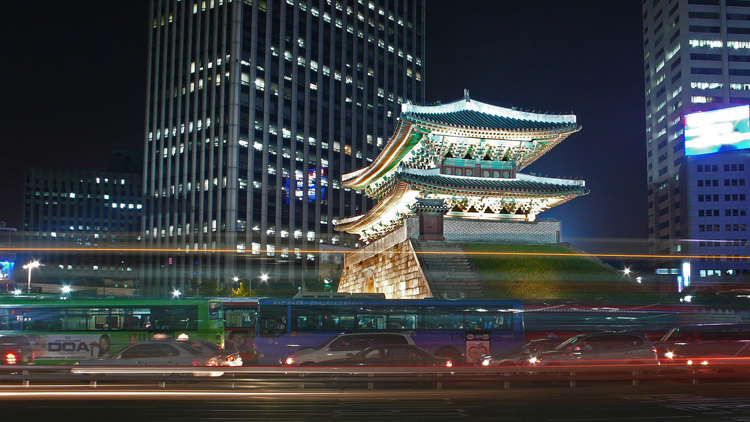 “Seoul is an incredibly pixel-dense megacity, with digital displays everywhere you look. This is due to the abundance of talented video design industry talent in the city, making Seoul a perfect home base for Shakr,” comments David Lee, CEO of Shakr Media Co. Ltd.
“To do any sort of business with the ‘traditional’ corporates (chaebol) in Korea often requires a lengthy validation process,” according to Sun Ung Lee, chairman and founder of Cloudike. Cloudike is a customer-branded, fully integrated Personal Cloud Storage service for mobile operators. He explains, “In our experience with chaebols, we needed to have a contract with one of their subsidiaries where you’re vetted for everything from company revenue, team size, and tech among other things. This vetting is probably the biggest hurdle for startups looking to operate in a B2B business in Korea. For us, we were able to quicken the process thanks to recognition from a news segment and a seminar I headed. I met one of their representatives who suggested we collaborate. While we were still subject to the vetting process, the chaebol waived the requirements, thanks to my existing relationship with the rep. We’re currently waiting to see how things go, but overall, I think doing business with chaebols as a startup is a very challenging endeavour. However, we found that doing business with one of the newer software giants is much easier. We weren’t subject to an intensive vetting process, and our tech, was easily accepted without hassle. Daniel Chan elaborates further, “Talent is difficult to recruit as everybody dreams only of Samsung and LG, and social pressure from friends, family, and significant others further prevent them from walking a more (fulfilling) entrepreneurial path. Daniel Chan agrees that things are changing as Korea’s startup ecosystem is growing rapidly, and has the potential to become the pan-Asian hub for tech services. He observes that entrepreneurs tend to band together, well understanding the sacrifices required of each other in similar positions, and therefore form close-knit communities that are very willing to help each other. Large amounts of resources from the government and corporates go into supporting this band of entrepreneurs. According to reports by Seoulspace and G3 Partners, Korea has built a fast growing ecosystem that is well backed by 20 well-established accelerators, 40 high level Korean investors, over 14 government related agencies, 1,000 angels and many startup events to entice the budding entrepreneurs. Asaph Kim is one of those who has benefited from this ecosystem. “We went through SVIK (Smart Venture Institute) in Daegu. This was very helpful for us, since they offer an office space, mentoring, and endless resources. The help we got from them was invaluable. We were also the second batch in an innovation center in Daegu called C-Lab (Creative Lab) by Samsung. C-Lab is one of the government-sponsored centers backed by a large Korean corporation that cooperates with them. We briefly participated in a government program called Startup Engine that got startups groomed for accelerators overseas, such as 500 Startups, Hax, China Accelerator, etc. I’ve also heard of Maru180 being a great coworking space for startups. However, Sun Ung also highlights that applying for government funds takes an incredible amount of time and manpower, given that the process often requires a full-time staff member dedicated to the application. This sentiment is echoed by David where “an abundance of seed funding seems to be a defining characteristic of the Korean ecosystem, coupled with the temptation to take on generous government subsidies and grants.” His company, Shakr, has avoided accepting government support as the strict compliance will quickly become an administrative burden. To end off this article, I asked them for their advice to fellow entrepreneurs. Special thanks to South Korean-based Sejung Yun, a fellow TIA community member for his introductions and interviews with the startups. [Update] Insights given by Shakr Media should be attributed to David Lee, not Anton Eliasson. This article is the eight of the ‘Through local eyes’ Series, where local startups give their take on Asian startup ecosystems.